Does the idea of shopping, cooking, cleaning and working at your vacation home-away-from-home drain the joy out of everything? It doesn’t have to make you miserable. In fact, help is readily available. 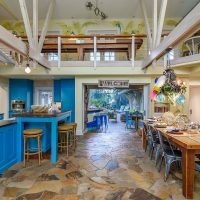 From grocery delivery and kitchen stocking to villa decorating and a personal vacation chef, there’s no shortage of services for families considering a vacation rental. After a busy day of skiing, surfing, or theme park touring, your crew is inevitably going to be famished, not to mention thoroughly fatigued. When your kids are in overload mode, the prospect of eating dinner out — or cooking dinner in — seems downright undesirable. A “Vacation Chef” offers an ingenious solution to the family vacation dinner dilemma, providing instant, tasty, nutritious and kid-approved meals right in your vacation home. Service set ups vary, but most chefs will cook right at your vacation rental, serve a meal, clean and then stock your fridge with prepared, ready-to-heat breakfasts and dinners for days to come. Most vacation chefs also offer grocery shopping service. Some charge by the hour, while others simply require reimbursement for goods. To locate a service that offers onsite cooking or prepared meal delivery services in the U.S., visit the United States Personal Chef Association. 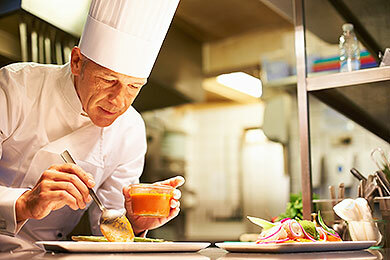 Other resources for locating a chef include concierge services, vacation rental companies and the service directories of area visitors’ bureaus, where some chefs maintain memberships for marketing purposes. Want to make your vacation home feel like your real home? 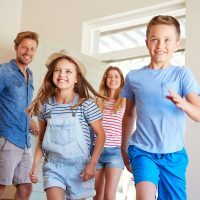 Particularly during the holidays, when kids are prone to homesickness, the idea of adding Christmas lights and a cheerfully adorned holiday tree to your vacation rental can be especially comforting. If your rental isn’t already decorated, you can arrange to have the halls decked by rental staff or by an outside company. At Disney World and Disneyland, floral designers will deliver a beautifully themed and decorated holiday tree to your Disney Vacation Club villa or hotel room. If you really want to splurge, they can embellish your accommodation in “everything Disney” from top to bottom, with lights, seasonal decor, special merchandise and sweet holiday treats. When your vacation is over, they’ll even box the tree and ship it home for you (for an additional fee) to enjoy for future holidays. 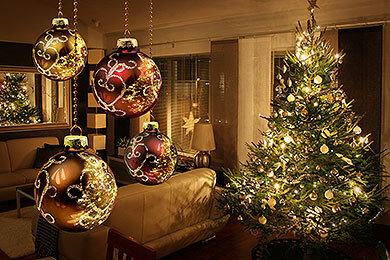 Look for information on featured trees (style and decorations vary by year) beginning in the month of November. Detailed information and offerings can be found on Disneyland and Disney World Web sites. To locate a local decorating service in other vacation destinations, inquire with your vacation rental company, property manager, local florist or area visitors bureau. 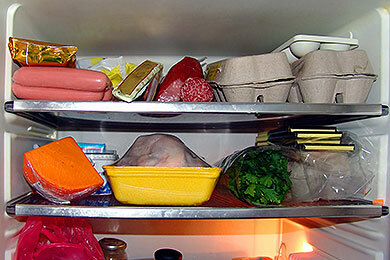 After an action-packed vacation day, the last thing you want to do is make a lengthy grocery stop. If you’re arriving by air and don’t have a rental car, the situation gets even trickier, as you’ll probably need to factor in a taxi detour (and figure out how to allot extra trunk space if you’re sharing a ride) in order to stock up on provisions. If you want to forgo kitchen stocking stress altogether, staffers from companies like We Go Shop deliver groceries, even shopping at your preferred store (or multiple stores), selecting your requested brands, and then delivering the goods right to your vacation rental. It’s no secret that taking small children on vacation means a lot of excess baggage. From cribs and strollers to favorite soothers that help to get them to sleep, it’s difficult to imagine traveling without your family’s indispensable essentials. Before you overload the family vehicle or send your airline luggage allowance into serious surplus, consider the benefits of having some supplies delivered directly to your vacation home. In popular vacation destinations, ranging from theme parks to beach locales, it’s easy to locate rental and delivery services through local tourism bureaus or condo and vacation home rental agencies. You can find everything from weekly rentals on beach chairs, beach umbrellas and cabanas, to deals on sand toys and surfboards. 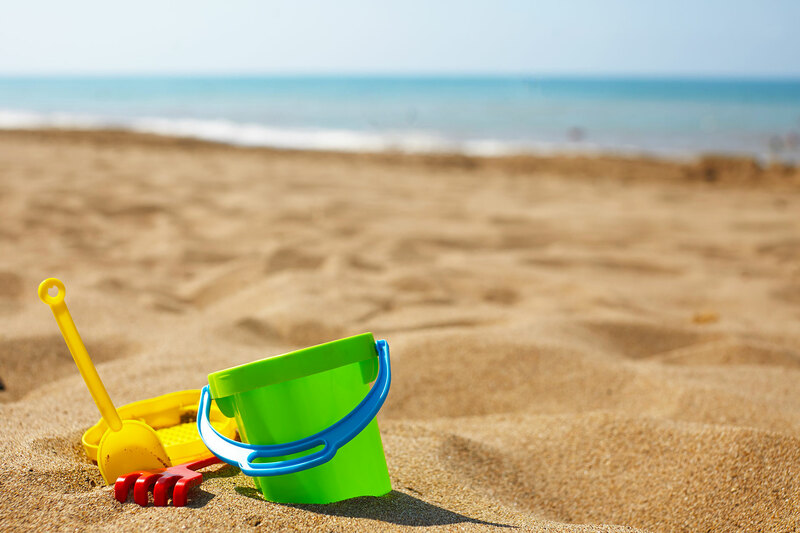 For kids’ equipment, Travels with Baby, an online site operated by a travel-savvy mom, offers a good directory of children’s equipment rental options for those traveling within the U.S. and abroad. For those traveling to off-the-beaten-path places, Babies Travel Lite delivers baby equipment and beach toys via mail to just about anywhere, from cruise ships and campgrounds to grandma’s house. 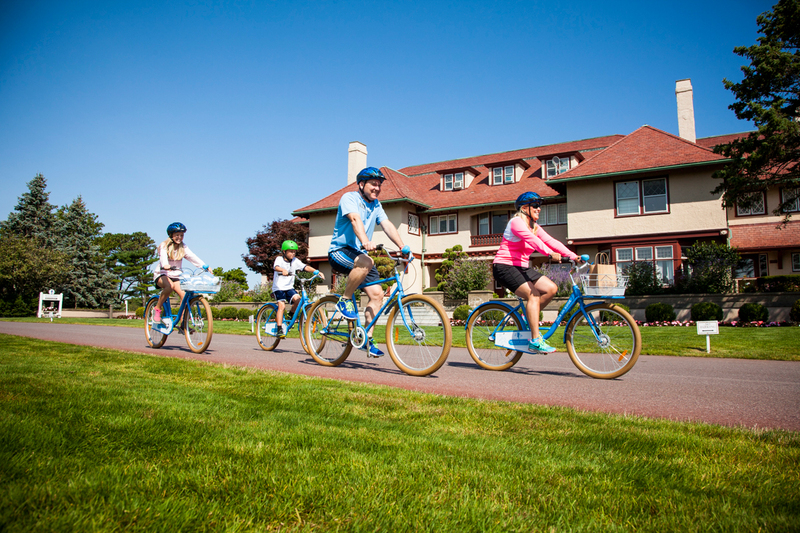 From bikes and scooters to golf carts and ski boats, there are a variety of ways to explore your vacation destination. Some pedestrian-friendly locales naturally lend themselves to greener means of exploration, like foot or bicycle, while others, like small islands, are often navigated by scooters or golf carts. Before renting, inquire with the property manager as to what sort of transportation is provided by your vacation rental. Chances are, there will be a bike or two, or perhaps even a boogie board, available onsite for your use. If you’re traveling with small children, be sure to find out whether baby bike seats, children’s bikes and helmets are available. For bicycles, Rent a Bike Now is a reliable source for rentals at more than 250 locations across the nation. If you need to carry a larger crew, vacation rentals in popular beach locales such as the Carolinas, the Florida Panhandle and Florida’s and Alabama’s Gulf Shores often come with a complimentary golf cart. Before you go, check state laws regarding minimum age and license requirements for golf cart operation. If you’re planning to vacation on the water, think about seeking out a rental with non-motorized watercraft like kayaks, canoes or sailboats, which can add hours of onsite entertainment. Be sure to inquire ahead to make sure there are life jackets available for everyone in your party, and plan to review house rules regarding water sports safety with your crew prior to arrival. If you’re going upscale, you might even consider a vacation rental with a pontoon boat, ski boat or jet skis included. If you want access to motorized watercraft with comprehensive insurance protection (which is always a good idea), local marinas are a reliable source for short-term rentals. Babysitting services are readily available near most rental properties, and should certainly be used in exchange for a romantic evening with your significant other. What happens if you’re traveling with an elderly or sick relative though? And what if someone in your group suddenly becomes ill? Consider extra care for them to ensure a smooth, enjoyable vacation for the entire group. 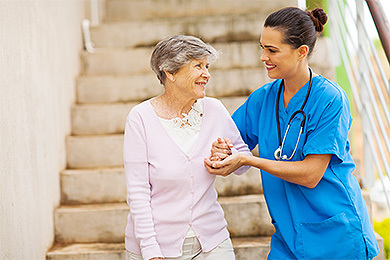 Nursing on the Fly and Vacation Nursing provide personal nurses (some who are multilingual) for vacation rentals in international destinations, as well as planes, cruises and trains. The nurses will give patients 24-hour care (which includes medication management, mobility assistance, feeding and cleaning), and even conduct a consultation prior to the trip, ensuring you or your loved one has proper care, literally every step of the way. Localized services, like Nantucket Babysitters, are a good option, too, as they also offer other services, such as babysitting, and sometimes at cheaper rates.